If you are on an entrance or acceleration ramp and are entering interstate traffic, you should yield to drivers already on the interstate highway. 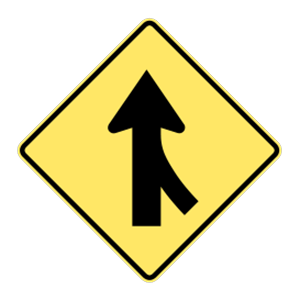 Merge safely into traffic when you are able to do so. 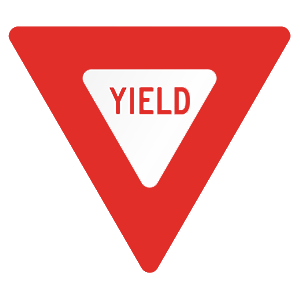 This triangular sign is a "Yield" sign. 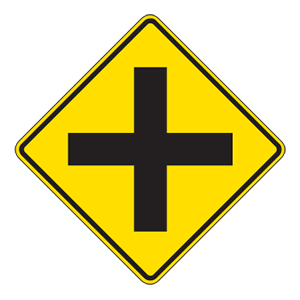 When you see this sign, you must slow down to check for traffic and yield the right-of-way to pedestrians and approaching cross traffic. Stop only if it is necessary to do so.